Etoile de France is the flagship of Bob Escoffier's fleet, the foundator of Etoile Marine Croisières. 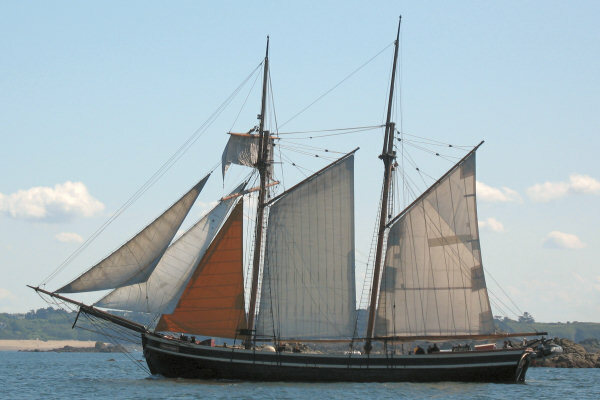 Build in 1938 in Denmark under the name of Jutlendia, this schooner with topsail was used in the past for salt and cod transport between Iceland, Denmark and Portugal. Then, she passed under german flag in 1971 before being sold to a british company and renammed Julia af Fåborg in 1990. She was then converted in a cruise yacht. The boat was also used at cinema for Hornblower or To the end of the earth. Bob Escoffier bought this boat in 2007 and renammed her Etoile de France.